ZYXEL NXC5500 WLAN CONTROLLER 64-512 AP. With demand for Internet connection of mobile devices growing rapidly, high scalability WLAN and centralized management become necessary for wireless device deployments. 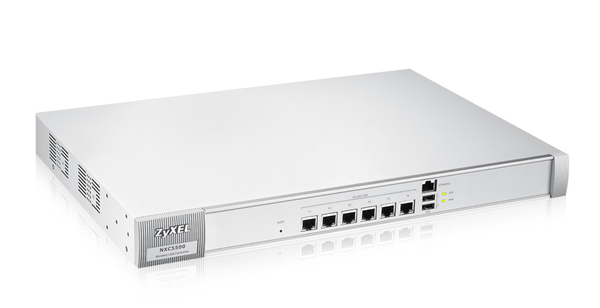 ZyXEL’s next-generation WLAN controller, the NXC5500, is capable of extending networks flexibly and fulfilling different deploy requirements with excellent AP compatibility; and the NXC5500 can centralize WLAN management to reduce extra efforts. The NXC5500 is easy to use and scalable for hotels, education institutions, chain stores as well as small- to medium-size enterprises to configure network solutions that meet their specific needs. The great scalability allows ZyXEL NXC5500 to manage up to 512 access points centrally, and the NXC5500 also helps administrators to make auto provision without exhaustive configuration for each AP within few minutes. The next-generation WLAN controller NXC5500 is equipped with 6 Gigabit Ethernet ports, enabling both high bandwidth and flexible deployments. It can support up to 16,000 concurrent devices without compromising performance.With high performance and scalability, the NXC5500 ensures robust networking for modern networks where one person is equipped with multiple devices. The large demand of wireless connection increases unpredictable changes in WLAN environments. To reduce the impact of these unpredictable changes, NXC5500 has Auto Healing feature that detects status of neighbor APs and adjust AP power automatically to provide enduring network services. If an AP is not functional, the nearby APs will increase output power to cover the void area. Once the AP outage recovers, the nearby APs decrease output power automatically. The ZyMESH features of NXC5500 help extending Wi-Fi coverage to places where cable deployment is diffcult. In addition, each repeater APs has multiple route selections to provide high resilience for non-stop Wi-Fi services. In the past, administrators had to assign a channel and MAC addresses in each AP while setting up a WDS link to extend Wi-Fi service; now they can make auto provision and manage easily and centrally with ZyMESH along with the NXC5500 controllers. All wireless networks face a major challenge: ensuring Wi-Fi clients get service levels they’d need. The diffculty to resolve is that different kinds of Wi-Fi clients exist on the network, and these users tend to make their own connectivity and roaming decisions. Client Steering enables the NXC5500 to provide network with max performance through band segmentation and signal threshold for clients. With more mobile devices in use, Wi-Fi requirement becomes more critical. Client Steering has functions that match every Wi-Fi client to the better radio band with the better AP, while band select sets 5 GHz as priority for dual-band devices to overcome heavy loading on 2.4 GHz. Clientsignal threshold transfer devices to APs with stronger signal. With these two functions, users can rest assured that the Wi-Fi performance is optimized. The NXC5500 offers versatile wireless user authentication methods for different users. For example, to reduce inconvenient login for keyboard-less mobile devices in schools, MAC authentication can be adopted to provide smooth access. In hotels, the reception staff can generate dynamic accounts for clients to log into a customized HTML portal page for flexible uploads and for the users to log into a secure network with correct resource. Most Wi-Fi deployments are new, or belong to extension programs on top of the existing networks. The ZyXEL NXC controller utilizes the IEFT CAPWAP protocol to minimize this issue. In addition, the connections between AP and controllers are usually established in different subnets or even across the Internet; the advanced technologies employed by ZyXEL’s NXC controller can facilitate the connections traversing NAT gateways to ensure the highest robustness of WLAN networks. The ZyXEL NXC5500 Wireless LAN Controller and Managed APs can help enterprises and businesses address the wireless security issues that arise with BYOD. They can guard company networks and resources against incoming threats from mobile Internet devices with industry-standard WPA/WPA2-Enterprise authentication and a variety of Extensible Authentication Protocol (EAP) frameworks. The monitoring mode of rogue AP includes both detection and containment to ensure blocking malicious AP. 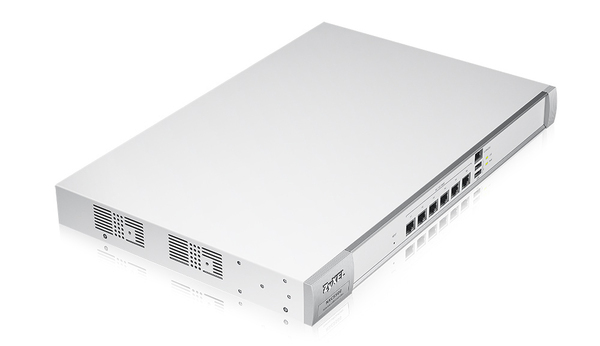 The built-in -firewall of the NXC5500 can perform stateful inspection of data streams to reject illegitimate packets coming from mobile Internet devices. 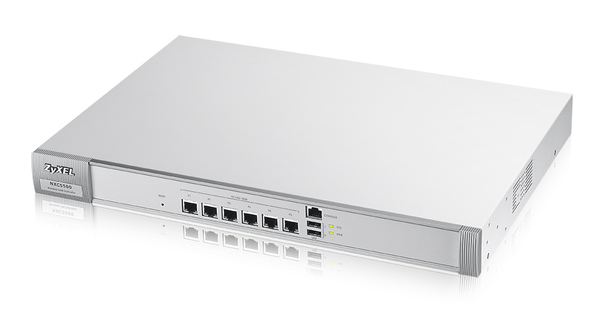 With multiple network security, the NXC5500 can provide the most robust protection for the wireless network edge. In large scale or campus Wi-Fi deployments, it is essential to locate the best spots to install APs for optimized service. The NXC5500 partners with Ekahau to provide site survey and Real-Time Location Tracking (RTLS) to best assist site selection and expedite the deployment.